Former Vice President Al Gore has announced plans to donate the money he will receive for the 2007 Nobel Peace Prize to charity. 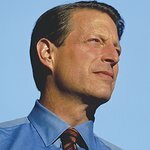 Gore will receive half of the total $1.56 million prize money for the award, which he shared this year with the United Nations Intergovernmental Panel on Climate Change, for his work to call attention to the threat of global warming, and will reinvest it into the cause that is closest to his heart. Al Gore is the first American to win the Nobel Peace Prize since former President Jimmy Carter. The prize is named after Alfred Nobel, the Swedish inventor of dynamite, who established the award in his will. It has been awarded since 1901 for achievements in physics, chemistry, medicine, and for peace. Past winners include Mother Teresa in 1979, and Nelson Mandela in 1993. Al Gore was born in Washington DC in 1948, the son of a US Representative and Senator. His early life was divided between life in the political capital of the United States and the family farm in Tennessee. In the 1970s, he served as a military journalist in Vietnam. 1993 saw Gore become the 45th Vice President of the United States, a position he held under President Bill Clinton until 2001. 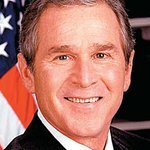 He narrowly missed out being voted into the Presidency himself in 2000. But has the award changed the man at all?